To those of you who have made a 2019 pledge to All Saints, thank you! We had an excellent response to the ingathering of pledge cards last Sunday. There is still time to pledge. You may either fill out a pledge card and place it in the offering plate or mail it to the church, or you may pledge online via the website. Either way, your commitment to supporting the life and ministry of this congregation is vital to our ability to live into the ways God is calling us at this exciting moment in our life as a community of faith. 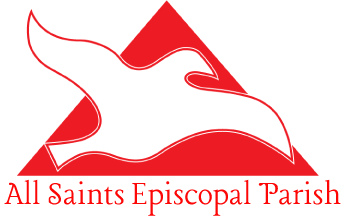 All Saints Episcopal Parish Newsletter. Subscribe to our newsletter for news, blogs, sermons and updates about what is going on at All Saints! We are many people with many different hopes and dreams. And we are called to be one body that works together to see Jesus in all of life. All Saints Episcopal Parish - Hoboken, NJ. All rights reserved.